The purpose of this foundation is to educate and be a resource for those in need of help. Whether it be you personally, a family member, a friend or an acquaintance, we are here to help. 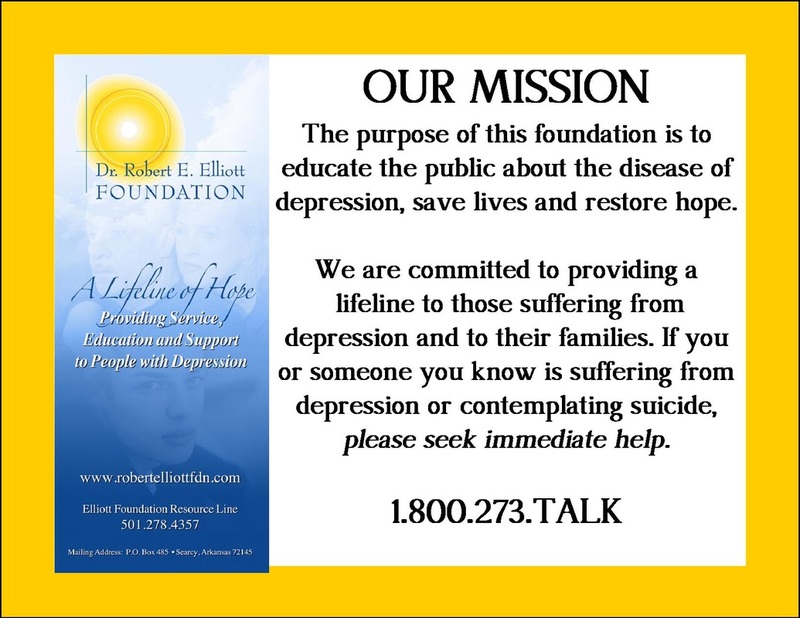 If you or someone you know is suffering from depression or contemplating suicide, please seek immediate help.